Below are a collection of some of the books that have really influenced my life and thinking. They are placed roughly in chronological order, with those I read earliest at the bottom. I once wrote a post about the top five books everyone should read in seminary. Because, every church/pastor/denomination is going through one right now. And, having a story, or way to understand all that movement, really, really helps. This is both an excellent church administration book and a pastoral care book. After I read this little book, I discovered the place where my writing belonged. I'd tried my hand at fiction, essay, and newspapers, but I know I'm at my best working on sermons. I love to wrestle with big ideas and make them small enough to be actually useful to people. How did you learn to speak about your faith? After college, I started to wonder how to really live my life. I'm a little embarrassed to say that it was this book, which made me stop and really ask some difficult questions. It ultimately helped to lead me back to the Bible and to ministry. 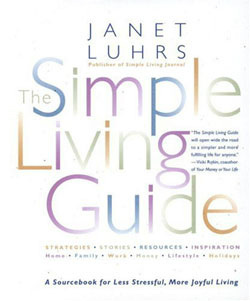 The guide offers advice on money, work/life balance, virtues, and the importance of cleaning out clutter. Simple advice that has made a big impact. What are you busy about? I'm honestly not sure when I first read the stories of Bilbo and the Ring. I suspect it was sometime early, but these are books and, more recently, movies that I have returned to often. These stories remind me that sometimes little things, or little people, can really change the world. They help to give me hope. I studied anthropology at the University of Connecticut. This book and its ideas form some of the real core of my own theology. I believe that humanity's greatest tool is culture, with religion and ritual being the best culture offers. What role does ritual play in your life? I rarely ever re-read books, but this little science fiction novel is one that I have read at least a few times. There is something about the way that Herbert layers religion, science, history, and myth that I find fascinating. This book showed me how story can change a people. What stories have shaped your world? This is one of my oldest book memories. I can remember that the book made me feel cold. Looking back, it is one of my first glimpses of the idea that words have power. What's your earliest book memory?